Yoga is very popular in today’s world. People practice for flexibility, endurance, bone, joint, and spinal health to increase their circulation, to enhance their immune system, for relaxation, self esteem and peace of mind. People practice to decrease pain, anxiety, insomnia and to address a variety of other health concerns. 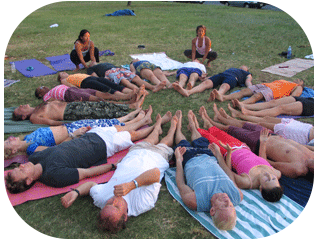 Dr. Lori Kimata provides personal, partner and group yoga sessions for those interested in becoming more awake and more aligned on all levels.